IN days gone by, manufacturers offered cars to meet the specifics needs of its customers, be it a small hatchback or a luxury sports car. More recently though these defined lines have blurred, with vehicles like the 2019 Mazda CX-3 Akari LE (AWD) emerging. The Mazda CX-3 first came onto the market in 2015 and immediately hit the ground running. It’s funky styling and offer of more versatility gave buyers another solid, reliable option in the small SUV market. 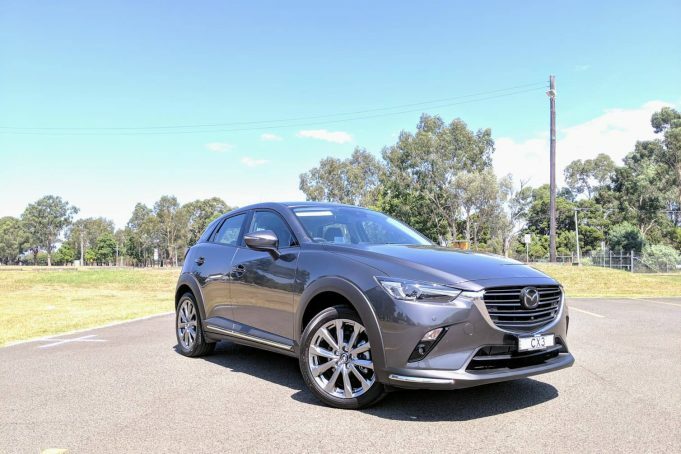 The CX-3 model line has since expanded over the years and in 2019 is now offered in nine variants ranging from the Neo Sport Front Wheel Drive (FWD) to this, the Akari LE All Wheel Drive (AWD). 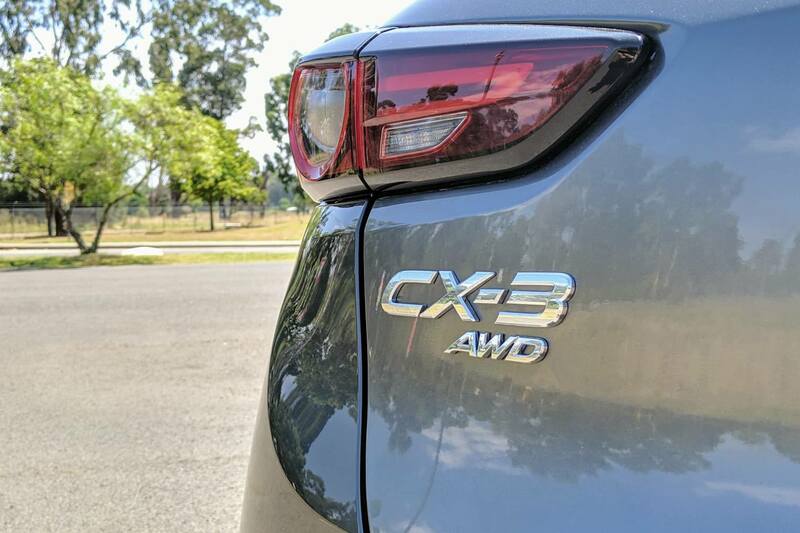 The Akari LE is the top of the CX-3 range, offered in FWD and AWD options and comes with everything you could hope for from $37,990 drive away. Well almost everything but we’ll get to that later. At that price point, Mazda has created itself a conundrum though. The range topping CX-3, while offering good value for the money, overlaps price wise with a few models of the CX-5 line-up. 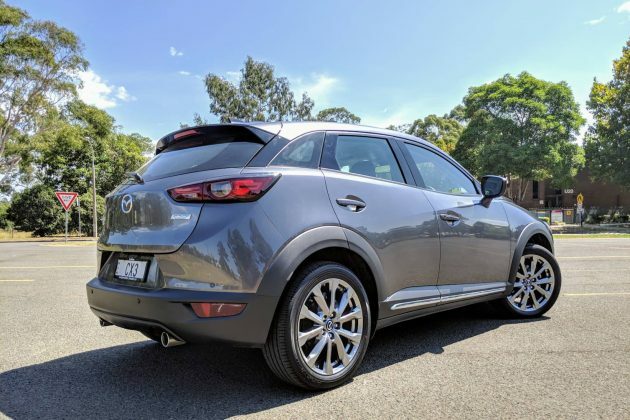 While these models don’t offer the same level of specification as the 2019 Mazda CX-3 Akari LE (AWD), it’s a hard decision to weigh up the extra size, space and power of the CX-5 range. The Akari LE is offered in petrol only, with a 6-speed automatic transmission, and comes with a 2.0-litre SKYACTIV-G engine producing 110kW of power, 195Nm of torque and returns a combined fuel economy of 6.7-litres/100km. It is a smooth engine, if a little on the loud side, but performance is adequate and combined with the i-ACTIV AWD intelligent all-wheel drive system, has plenty of grip and performance to get you out of a tight spot in traffic without hesitation. On road manners are excellent and with the Akari LE’s level of equipment, you won’t be in a hurry to arrive at your destination. That might seem an odd thing to say for a small SUV that is by no means defined as a luxury car. Mazda have done a terrific job though on making the Akari LE feel like it costs double of what it does. The biggest compliment we can give it is that it feels very Lexus inside, which says it all really. Speaking of equipment, there isn’t much you miss out on in the Akari LE. In addition to the sTouring model placed below it, the Akari and Akari LE models receive a power sunroof, power adjustable and heated front seats, and leather trim. 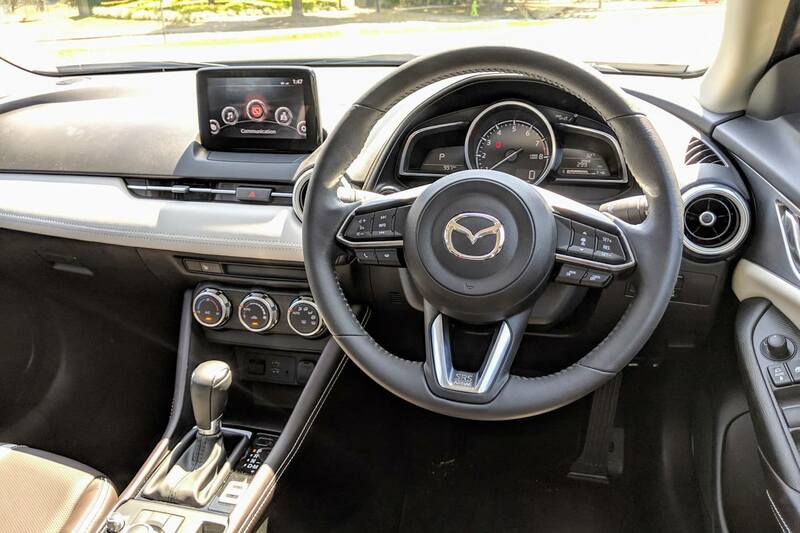 It also gets Mazda radar cruise control with stop/go, 360-degree view monitor, adaptive LED headlamps, and lane departure warning. Furthermore, it gets unique alloy wheels, dark russet nappa leather, vent ring accents and white dashboard and door trim inserts. Like we mentioned, it all comes together to feel a lot more than the sum of its parts. One glaringly obvious omission though is the lack of Android Auto or Apple CarPlay as standard. Mazda are offering a retrofit upgrade costing an extra $494.98 for the added functionality. 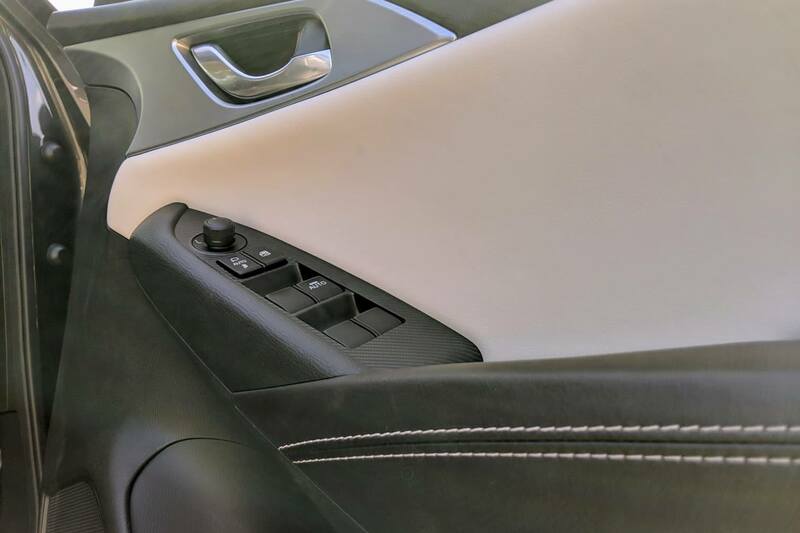 Not offering this as standard on an almost $40,000 car in 2019 is frankly not good enough. That aside, the Akari LE makes do with a 7-inch touch screen display with Bluetooth hands-free and audio, Digital DAB+ radio, internet radio integration and satellite navigation as standard. The stereo sound quality is good and maintains clarity at higher volume levels. The MZD Connect user interface is intuitive and easy to use with its centre console controls, the rotary dial giving solid haptic feedback to navigate the menus with ease. The Akari LE is a versatile piece of kit and one that which will fulfill most of your needs with ease. Although boot space is quite simply tiny at 264 litres, fold the rear seats down and that grows to almost five times the size at 1,174 litres. 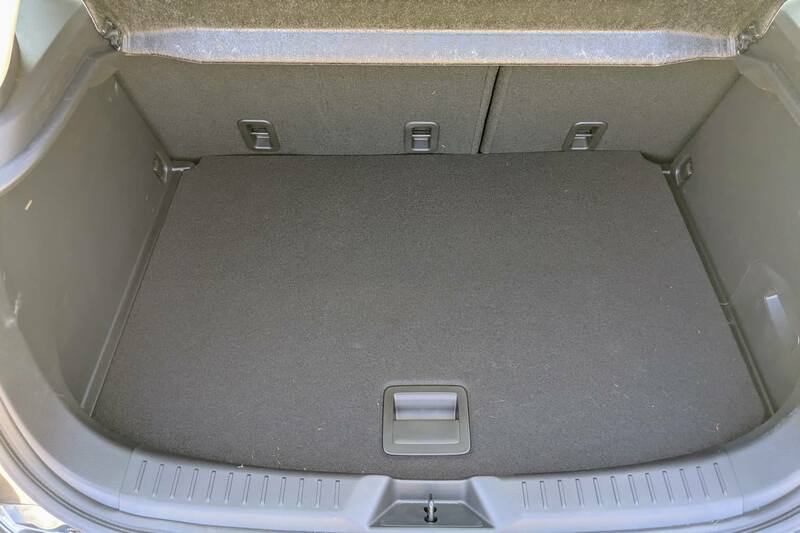 Load carrying panel van – check. Utilising a turning circle of 10.6 metres and measuring only 200mm more than a Mazda2; agility and parking ease – check. 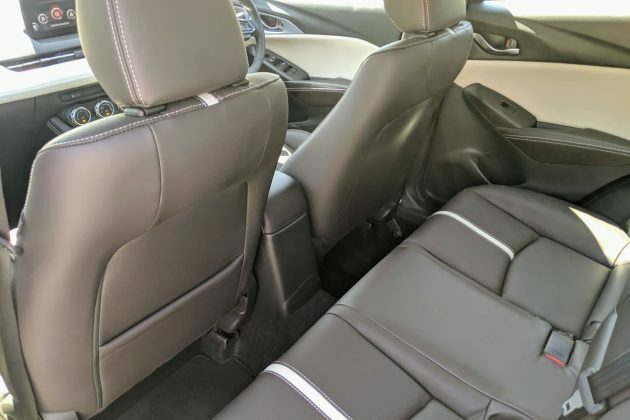 Rear seat room is surprisingly good with space behind a 6-foot driver enough for a similar height passenger to sit in relative comfort, and it can take three full size passengers. Squeezing an extra person in the back might be an uncomfortable stretch though. We think the Akari LE looks great and makes a statement with its styling. It’s aggressive angular front, classy 18-inch wheels and chrome accents all make the Akari LE look great from every angle. One issue that does arise from its high-waisted hips is an occasional lack of vision when merging lanes, or if you’re taller, checking your blind spot. The B-pillar is right in line with the driver’s head which means a double check of the mirror and shoulder just to be safe. It’s definitely better looking than most of its rivals though, which include the Mitsubishi ASX, Skoda Karoq and Hyundai Kona. Along with the ASX, it has mainstream appeal, while the Kona and Karoq are on the edgier side in regard to styling and design. It also falls pretty much in the middle price wise in relation to its competitors, when compared to the more expensive Kona Highlander and fully optioned Karoq. That makes the 2019 Mazda CX-3 Akari LE AWD a solid choice. It delivers a premium look and feel, is extremely well equipped in safety features and driving assist systems, and is only slightly lagging behind in terms of connectivity, at least for now. Buyers of the 2019 Mazda CX-3 Akari LE (AWD) won’t be disappointed with their purchase and it is one of our top picks in the small SUV segment. 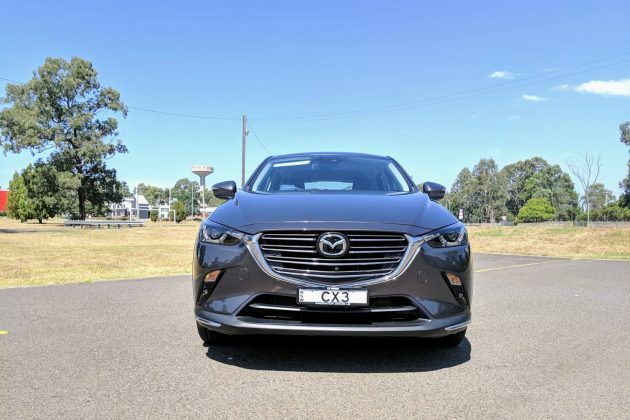 Our test vehicle was supplied by Mazda Australia. 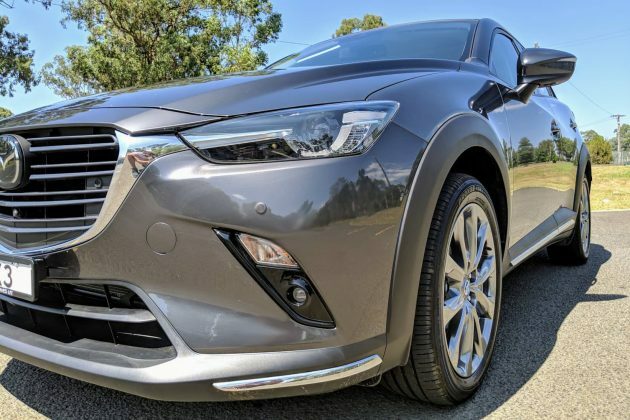 To find out more about the 2019 Mazda CX-3 Akari LE (AWD), contact your local Mazda dealer. Pros - funky looks; well optioned; versatility. Cons - Apple CarPlay/Android Auto not standard; restricted visibility; dilemma of choice with CX-5 range. Josh Muggleton has a love of cars that began at a young age and has been a part of his life ever since. So much so that his passion for all things automotive turned into a life as a racing car driver and driving instructor.